IP finance: Is There "Gaming" of the Patent System? I think that the first time that I heard the reference to "gaming the system" in the context of intellectual property was in a class lecture given by a friend and colleague. The course, one of the few of its type offered by a top-tier MBA program, sought to impart to its students an appreciation of the way by which a proper understanding of IP could be of service as part of a manager's s professional skill set. I was sitting in on the class to gain a better appreciation about how to pedagogically approach MBA students. I don't remember too much about the actual contents of the lecture (it was, after all, a few years ago). What I do recall well was one sentence which he reiterated several times in response to various suggestions by students how to exploit the patent system. 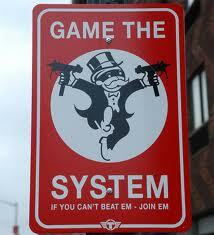 My friend said loud and clear--"Don't try to game the system"! What exactly did he mean? He did not elaborate, at least not in the class session that I attended that day. Ever since that I encounter, I have sought to try and work it my mind what the term might mean in the IP context. "[t]o use the rules and procedures meant to protect a system in order to instead manipulate the system for a desired outcome." "[p]rior to requiring the publication of [U.S. patent] applications, the public would not learn of a patent until after it issued, which is often several years after the application was filed. Some patentees took advantage of this practice to the extreme (with ‘‘submarine’’ patents), and intentionally delayed their patents issuance, and thus publication, of the patent for several years to allow potentially infringing industries to develop and expand, having no way to learn of the pending application." The law was changed to prevent submarine patenting, at least with respect to U.S. applications for which there were also foreign parallel applications. 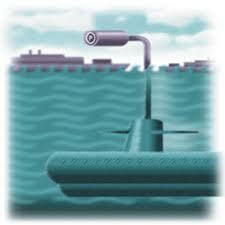 The question is: was "submarine patenting" an example of "gaming the system"? On the one hand, the lack of disclosure until a later time potentially put third parties at risk that they were be the object of an infringement action without having prior reasonable knowledge of the existence of the invention. On the other hand, it still seems to be the case that can engage in such conduct provided he limits himself to a U.S. patent application. Is this "gaming the system" or simply calculated use of patent rules and regulations? 2. Patent trolls--It is well-known that certain companies and law firms pursue patent litigation on the basis of a granted patent for which the patentee is not making any use thereof. Loud voices were raised about such conduct amounting to a perversion of the patent system. Whether or not public criticism was a factor, it remains that the U.S. Supreme Court, in the case of eBay Inc. v. MercExchange, L.L.C here, limited the ability of a plaintiff to use the patent system to extract a monetary settlement in circumstances where there was not exploitation of the patent by the patentee. Neither the navigator of the submarine patent or the alleged patent troll was said to have broken any law, but merely to have adroitly exploited it for his ultimate monetary benefit. In both instances, the legal system ultimately took steps to rectify what was perceived an unacceptable exploitation of the patent system. On that basis, both submarine patenting and patent trolling could be seen as instances in which the conduct of the patentee was not in the best interests of the patent system, even if such conduct worked to the patentee's benefit. Circling back, however, to the beginning of this blog post: is the role of the manager to refrain from either submarine patenting or patent trolling because it does not serve the best interests of the patent system? If the answer is "yes", then there are potentially huge implications for how we conceive of the role manager in respect of IP rights in particular, and all legal rights, more generally. If the answer is "no", then I remain with the question: what do we mean by "gaming" the patent system? Yes, the meaning of the term "gaming" is ambiguous as applied to patent practice and/or strategy because as you suggest, "gaming" is a logical subset of "following the rules," albeit with perceived evil intent or nefarious purpose. But beyond the definitional issue, the problem with use of the term is that it is totally subjective, in the sense that it is almost always a pejorative used by someone who feels personally disadvantaged by the alleged gamer's actions. In other words, the one using the term sees "the game" as zero-sum in which case if the gamer is a winner, there must be losers.